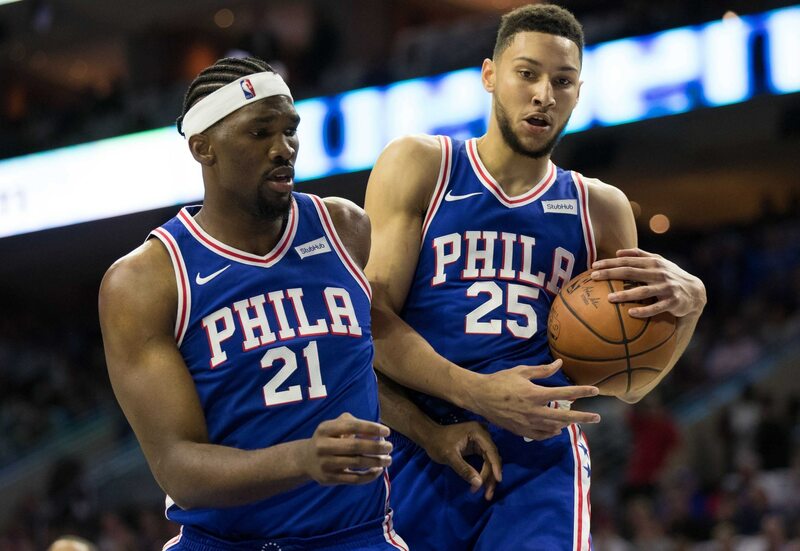 The Philadelphia 76ers seem to be hitting their groove with stars Joel Embiid and Ben Simmons doing their thing. Playing at home against San Antonio, the Spurs found this out the hard way early and often. Already up 11-5, Simmons hit Embiid with this no-look pass while on transition. The pass was perfect — leading to a flush from Embiid. That’s just absolutely beautiful right there. Philly opened up a 22-19 lead early with Embiid going for nine points and eight boards before even eight minutes ran off the clock in the opening stanza.